Christmas is renowned period of the year for promotions, especially in western countries. It is important for the brands to attract more attention than usual when it comes to key products of the season. Take Champagne, wine or spirits for example. Sales shoot up greatly during the Xmas/NYE period. So it is of capital importance for competitors in this market to successfully advertise their products if they want to grab any of the extra margins! Of course they have a wide variety of advertising agents to choose from: gifts on purchase, special packaging, POS merchandise, promotional events etc. Mouton Cadet, a famous French winery, chose packaging to help increase sales this Christmas. 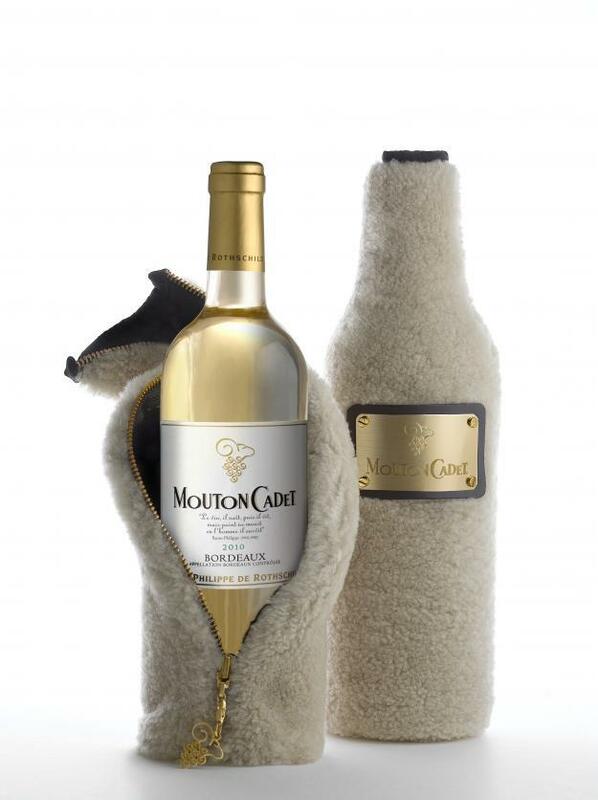 Indeed, the luxury brand has packaged its Bordeaux Mouton Cadet blanc 2010 in a genuine fur bottle coat. You can buy these limited edition bottles at the French luxury grocery store, L’Epicerie du Bon Marche, for 20 euros. Though this promotion was made specifically for Christmas, these fur bottle coats could easily make a great luxury gift for top clients at other moments in winter.